Zakir Musa spotted? Fact Check: News Media sharing image of militant in turban is fake! Srinagar: On December 6, many news channels in India aired and published an Image of a man in a turban. The same was done by Zee News, which reported, “in recent weeks, the Punjab Police and Jammu and Kashmir Police have busted terror modules, including those involving engineering students, who had carried out terror activities in Punjab. The photo is not new and was earlier aired in a news report in 2017 as that of Zakir Musa. You can view the 2017 report by IndiaTV here. However, even this report was not factual. The photo is neither recent not that of Zakir Musa. Sources told Free Press Kashmir that the man in the picture, whose head is clad with a turban is Unais Shafi alias Fidaye from Taqibal in Waghama area of Anantnag district. Unais Shafi was recently killed in a gunfight along with his 5 aides at Satkipora area of Bijbehara. The image had also previously been shared on social media in Kashmir, claiming that it was that of militant Saddam Padder in disguise. Padder was also killed in a gunfight in May, 2018. But, this is not the first time that unverified images are being shared by mainstream media in India. Last week, the photos of two ‘suspected terrorists’ that were released by the Delhi Police in an advisory were found to be of two students from Pakistan, as per media reports. India Today had reported that the police had on November 20 had released the photographs of these two men posing beside a milestone written in Urdu. 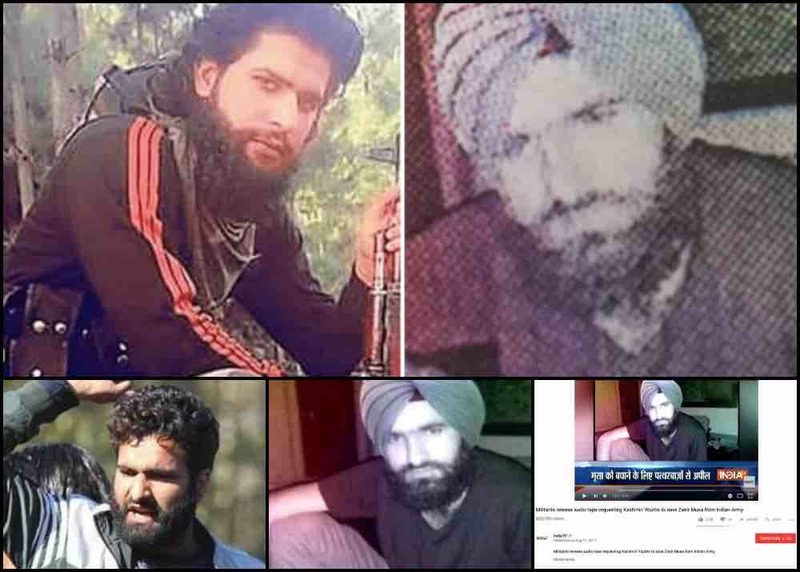 The report said that Pakistan has confirmed that the two youth shown in the photograph at Ganda Singh Border were Tayyab and Nadeem. Besides these recent incidents of media sharing content without verifying, earlier this year a video clip had gone viral in which an unidentified elderly ‘Sikh man’ reportedly seemed to have taken the responsibility of waking up his Muslim neighbours in Jammu and Kashmir for Sehri, pre-dawn Ramzan meal. “Allah Rasool de pyaaro, jannat de talabgaro, utho roza rakho (The beloved of Allah and his messenger, the seekers of paradise, wake up to start your fast),” he shouted before starting to beat his drum. The unverified clip was reported as news by NDTV, Hindustan Times, Times Now, ABP NEWS, WION and all major news media in India after Press Trust of India covered it. Free Press Kashmir had reached to the places mentioned in the news reports, and Tral, as reported by many Kashmiri news media earlier, and found out that no such man exists at the reported place, and no such incident had happened there. The video, it turned out, was first uploaded on Youtube on May 17, 2018, by Awaz News Pakistan, with the title ‘Sehri Time Dholl in Pakistan’ of a Muslim Punjabi man waking people up in his community. Fact Check: Death of baby due to burns or a rare disease which results in blood coagulation?